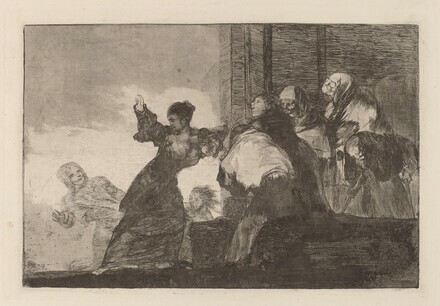 Goya: Images of Women, National Gallery of Art, Washington, 2002, no. 127. Harris, Tomás. Goya: engravings and lithographs. 2 vols. Oxford: Bruno Cassirer, 1964. Goya: Images of Women. Exh. cat. Museo Nacional del Prado, Madrid; National Gallery of Art, Washington, 2001-2002: no. 127.